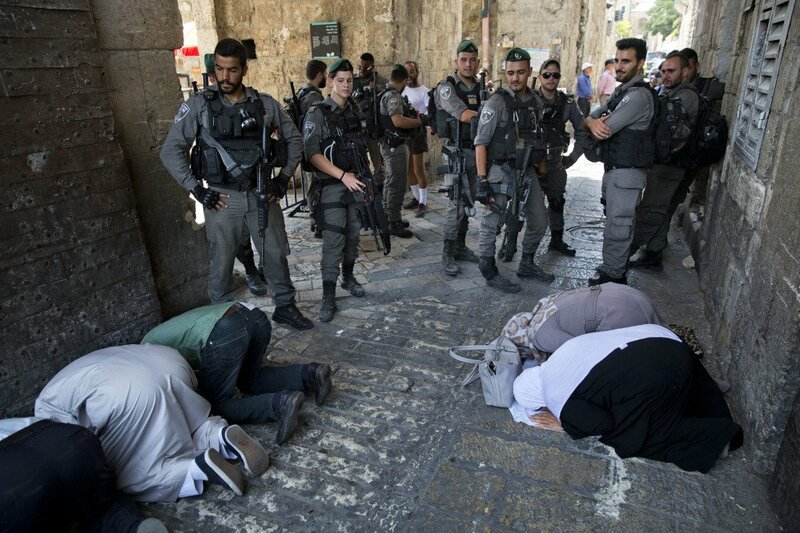 The Muslims are contesting Israel's decision to install a metal detector at a holy site following a shooting. JERUSALEM —Thousands of Palestinian Muslims prayed in the streets near Jerusalem’s most contested holy site Tuesday, heeding a call by clergy to not enter the shrine despite Israel’s seeming capitulation when it removed metal detectors it installed there a week earlier. The continued standoff highlighted the deep distrust between Israel and the Palestinians when it comes to the shrine – the third-holiest in Islam and the most sacred in Judaism.